Seeing Diedrich Bader earlier today in the fantastic Curb Your Enthusiasm (‘The Tivo Guy’ – Season 6, Episode 7), reminded me that he used to do this short comedy spoof years ago where he rode on a motorbike. A quick IMDb search revealed he played The Searcher which was part of a short-lived comedy programme called Danger Theatre shown in the US in 1993 and in the UK the following year. Danger Theatre was hosted by Robert Vaughn and consisted of two parts, one of which was ‘The Searcher’ starring Diedrich Bader, a spoof of renegade loner shows like Knight Rider, and the other was ‘Tropical Punch’ starring Adam West, a spoof on Hawaii-Five-O. I don’t remember Tropical Punch, but The Searcher was a brilliant comedy and Diedrich Bader was superb as the very accident prone hero. It featured deadpan sillyness of the highest order. 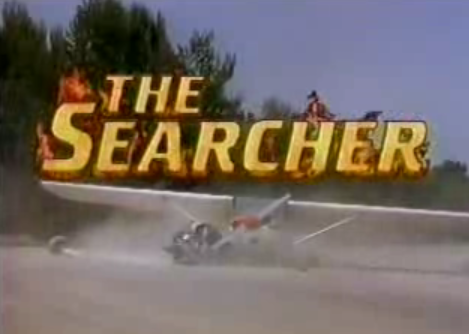 If you like Airplane, Police Squad or Sledge Hammer then you will love The Searcher. Unfortunately no DVD has been produced and there are very few clips online. The episode ‘Searcher in the Mist’ is on YouTube and features a very cute ape named Cookie. I also remember some of the episode ‘An Old Friend for Dinner’, which was a spoof of Silence of the Lambs, with The Searcher visiting a cannibal in prison called Andre the Gourmet and it was absolutely hilarious. It caused me to genuinely LOL throughout. If anyone knows of where you can watch or buy episodes, then please let me know! Consultants, what are they good for? 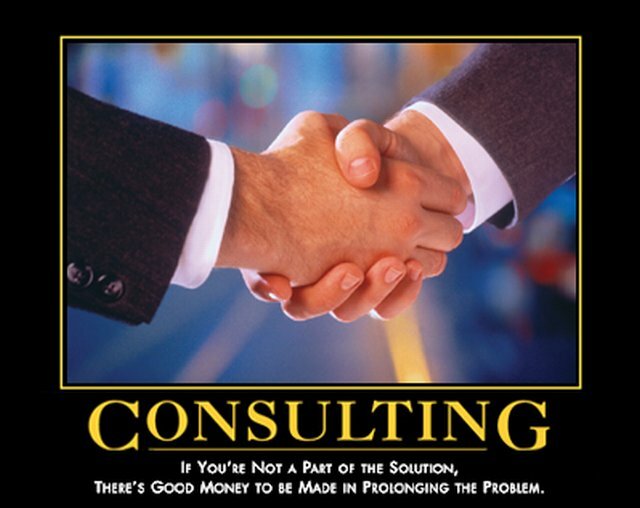 Are consultants any good? If you take c u n t out of consultant, all you are left with is talons.